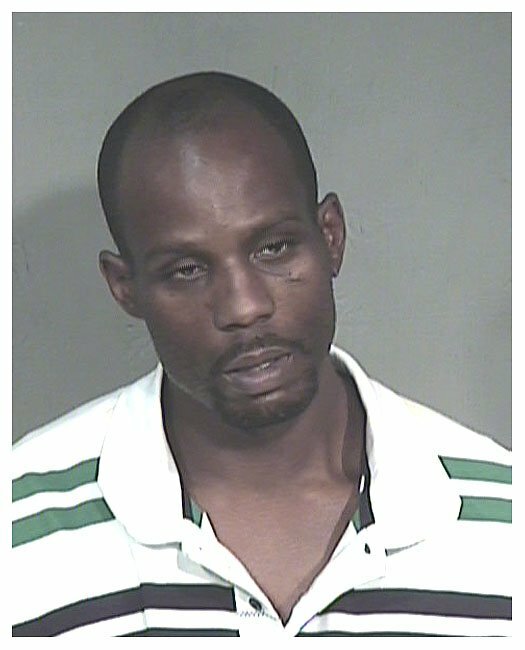 Rapper DMX (real name: Earl Simmons) was arrested by Arizona sheriff's deputies in May 2008 and charged with seven counts of misdemeanor animal cruelty and four counts of felony drug possession. Officers executed a search warrant on the 37-year-old Simmons's home and found cocaine, marijuana, and five pit bull puppies. The arrest follows an August raid of his home that turned up weapons, drugs, and 12 malnourished pit bulls. Simmons was then taken to a Maricopa County lockup where he posed for the above mug shot. Submitted by rcmayo on Fri, 2011-06-03 09:30. Submitted by silly pants on Tue, 2010-10-19 17:55. Submitted by jaime on Sat, 2010-08-28 23:31. Submitted by antiz on Mon, 2011-02-07 19:08. Yall made him lose his mind up in here.